Park County Fire District 2 is a tax supported fire protection district which provides fire suppression and fire prevention services for a 3200 square mile area surrounding and including the City of Cody. It is directed by a five member elected board. The four full time employees are responsible for administrative assistance, maintenance, training, fire prevention, public education, budgeting, and fire cause investigation. Engine 1-1500 gallon per minute pumper; 1000 gallon tank; all NFPA 1901 equipment. Engine 3-1500 gallon per minute pumper; 3000 gallon tank; all NFPA 1901 equipment. Engine 6-1500 gallon per minute pumper; 300 gallon tank; 75 ft. Aerial Ladder; all NFPA 1901 equipment. Engine 4-1000 gallon per minute pumper; 1250 gallon tank; all NFPA 1901 equipment. Squad 7-Light rescue equipment truck. Contains additional SCBA's, extra breathing air, hydraulic rescue tools, generator, entry saws, ventilation fans, salvage covers, etc. Rescue 8- Light rescue truck. Engine 11- 350 gallon per minute pumper, 1000 gallon tank; all NFPA 1901 equipment. Engine 10- 450 gallon per minute pumper; 1000 gallon tank; all NFPA 1901 equipment. Engine 14- 750 gallon per minute all wheel drive pumper; 1000 gallon tank; NFPA 1901 equipment. Engine 16- 250 gallon per minute all wheel drive pumper; 750 gallon tank; all equipment to qualify as an ISO Class 9 engine. ​All firefighters are certified to at least Firefighter II by the State of Wyoming. All officers are certified to at least Fire Officer I by the State of Wyoming. Periodically, ISO conducts a survey of the fire district to determine the capabilities of the structural fire suppression delivery system in the community. The latest survey (2014) resulted in a rating of 4 within the City of Cody hydrant area and a 4X within 5 miles of any of our rural stations. 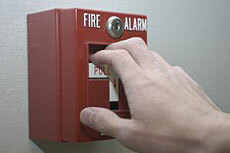 Occupancies equipped with fire alarm and smoke detection systems occasionally have unwanted false alarms. Both the public and responding fire district personnel are subjected to needless danger when fire personnel are called on to respond to false alarms. In addition, the responding personnel and equipment are not available to respond to true emergencies. Park County Fire District #2 has implemented a policy to try to help reduce the number of false alarms. Park County Fire District 2 provides fire protection and rescue services for the City of Cody and northwest Park County. Included in the district is all of the South Fork area, the North Fork area, Sunlight, Crandall, the Powell Highway area to Lane 16 and Highway 120 south to Meeteetse Rim. Within the city limits of Cody open burning is regulated by city ordinance and is primarily allowed only for maintenance of open irrigation ditches. Please see the Burn Permit/Open Burning Regulations for the City of Cody. Careful planning and preparation will help eliminate having your burn escape. The Park County Firewise website has information, and links to other helpful sites that can assist. Also please call our office at 527-8550 if you have additional questions about open burning or any other fire safety issues. Location of burn and what you will be burning. Contact person and phone number. Call dispatch again when the burn is completed. While we do not regulate open burning outside the city limits you need to be aware that you may be liable for any damage caused by your burn. There may also be Wyoming Department of Environmental Quality regulations concerning your burn. If you are located in the Powell, Meeteetse, or Clark Fire District they also appreciate notification as outline above. Copyright 2019 by Park County Fire Protection District 2.